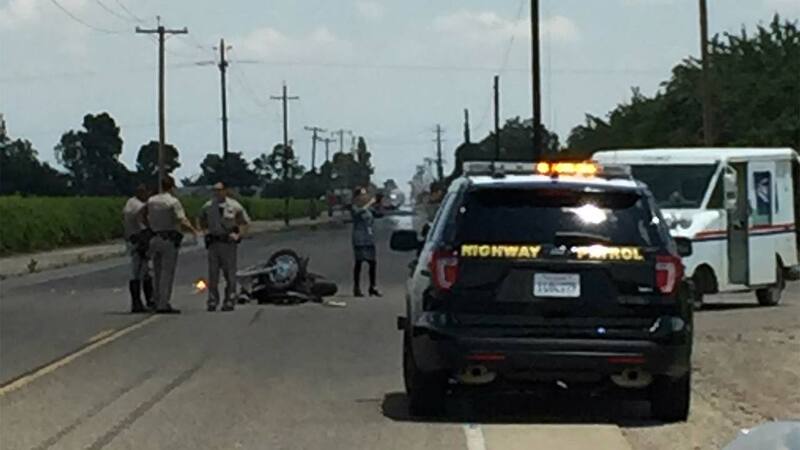 The CHP says the mail truck pulled in front of the motorcyclist, killing the biker. EASTON, Calif. (KFSN) -- Over and over again the last few hours the Jurado sisters have been tearfully replaying the last phone conversation they had with their father-- unwilling to accept the reality he is gone. "I just said don't let it be my dad, please don't let it be my dad," said Marisela Laurino, daughter. Manuel Jurado, 69, was out riding his motorcycle Friday-- following one of his daughters back home. When he failed to show up at the house an hour later Yvette said she knew something was wrong and re-traced the road home to search for him. "When I got to Manning and Orange I seen his bike, I remember putting the car in park I was talking to my mom and I said I gotta let you go dad's bikes on the floor, and I think that's dad." CHP officers said a mail truck pulled out in front of their father. The driver told officers she had looked both ways and didn't see him until the collision-- he died on impact. "She took a father, she took the best grandpa, she took the best person off this planet, I know she's going to have to live with that, but she needs to know you took someone from us," said Laurino. Family and friends said Manuel was a kind, generous, and hardworking man. He recently retired from a dairy farm after working there for more than 50 years. Marisela said her dad even helped her pay for her tuition. "I was going to surprise him for him to pin me with my nursing degree. I picked him over everybody." His family is now trying to find their way after losing the guiding light in their life.